Spring has finally arrived in Harbor Country which makes it the perfect time to plan a weekend getaway at Firefly Resort! Explore the shops and galleries in New Buffalo, go antiquing along the Red Arrow Highway or head to the beach for views of Lake Michigan! Firefly Resort is located in Union Pier, Michigan, and offers quaint cottages a short walk from a private beach on Lake Michigan. Book your getaway today at Firefly Resort! Spring is on its way and it’s time to get the family out of the house and on an adventure in Harbor Country! Captain Mike’s Fun Park is great for a few hours or a full day of family fun. Grand Mere State Park or Warren Dunes State Park are both excellent ways to get the kids outside and active with limitless activities. Harbor Country Trails offers great hiking and biking information all over Harbor Country. New Buffalo Railroad Museum, opening in April, offers free admission and a multitude of events for both children and adults! What are your favorite family activities in Harbor Country? 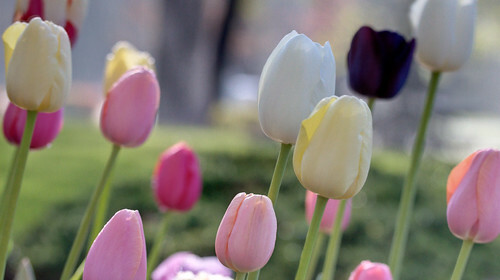 Spring will soon be here and we’re offering a special savings package for you! From now until June 1, book two nights at Firefly Resort and get your third night 50% off! Mention this special savings when you make your reservation. You are currently browsing the FireFly Resort blog archives for March, 2014.